A new lounge bar in the centre part of Koramangla at JNC road, It’s on the 3rd floor with both indoor and outdoor sitting area along with a smoking zone. They have dim light with comfortable couches and wooden stools. The bar counter is also very huge where you can ask for your drink along with some great music to go with. Starter: They have a huge collection of quick bites or bar bites like French fries, crispy corn etc. Badami seekh kebab was also very well-cooked and went well with the sauce. Thod Khao Pad which is also a type of corn was very good. Love the Chef's special Pineapple pizza. The burger was also very nice with deep fried patty. 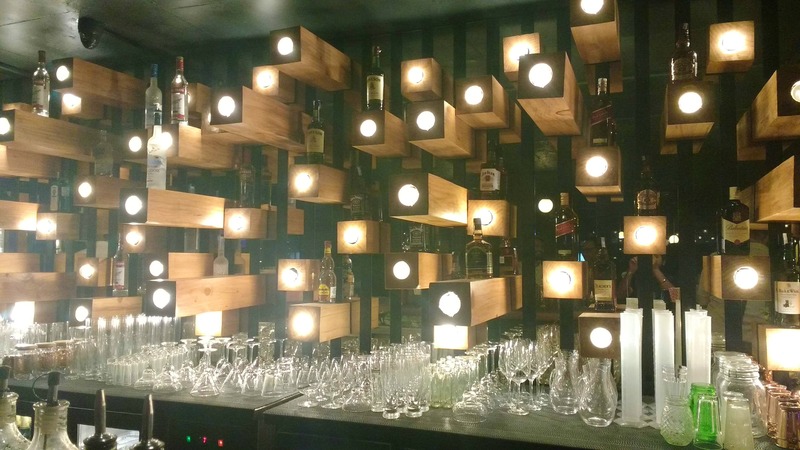 Drinks: Cocktails: They have amazing cocktails with fancy names like Devil's Choice, Faadu, Aamsutra, Kamsutra and many more. LIIT's: Refreshing and kickass LITs are a Must Try – Not disclosing the secrets of the drinks. Desserts: Cheesecake – Was very yum and delicious. Brownie with Iced cream – Not a big fan so it's quite ok. Love to try more Desserts. Service and Staff: Staff was well mannered and very hospitable. Their service was also very prompt. Love to visit again for LIIT’s.